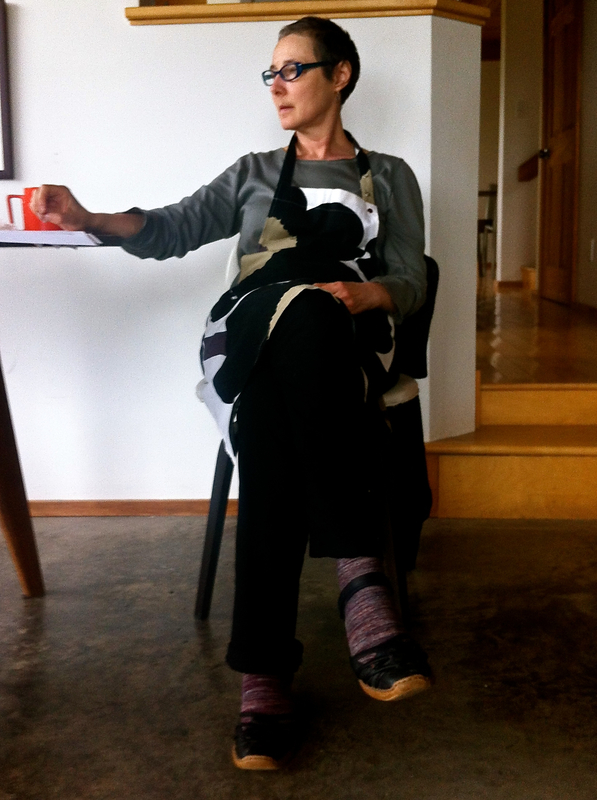 Linda Griffiths 1953 – 2014. One of the things that I loved about Linda was that you never knew what she was going to say. She was a constant surprise. She was funny and scary. She was warm and prickly. I liked how mischievous she could be. She made you feel like she was telling you secrets. Being with her was like being at a really fun weird party. She wouldn’t like this picture of her, but it’s how I remember her, working on her play Games at Daniel’s Hill House in Nova Scotia. Sharing ideas, laughter, me doing dishes at the sink, while two Canadian theatre titans schemed around the wood stove drinking tea. Publicly she was born in 1956. I snuck a peak at her driver’s license once. It said 1953. Previous Previous post: Little One reviews. Next Next post: Since You Left Us running at Presentation House.